Symbol of concern, sympathy, community spirit that quickly spread on Facebook and other social media sites during the 4-day terrorist attack on Westgate Shopping Mall in Nairobi, Kenya, which began just after noon on Sat 21 Sep and ended the evening of Tue 24 Sep 2013, at which time Kenya’s President Uhuru Kenyatta declared three days of national mourning, beginning today, Wed 25 Sep 2013 (photo / graphic credit: unknown). We are all shocked by the tragic events that unfolded in Nairobi’s Westgate Mall in recent days. We stand together with the people of Kenya during these three days of national mourning called for by Kenya’s President Uhuru Kenyatta. We offer our deepest condolences to the many people who have lost loved ones or were hurt or traumatized as a result of this 4-day siege. We thank everyone who has expressed concern for CGIAR staff members and their families during this time; while several were directly touched by this, we are thankful that we know of no staff member or member of their immediate families who have lost their lives or sustained major injury. 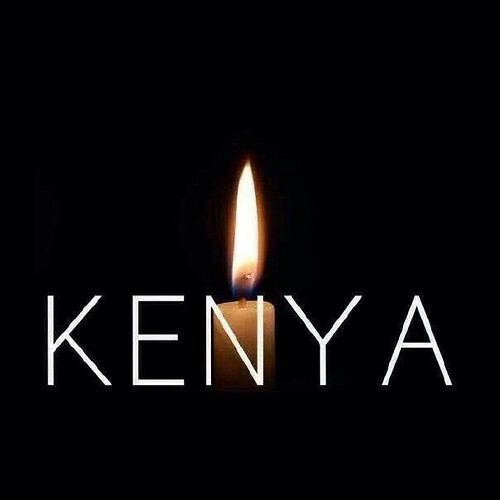 This, the worst terrorist attack in Kenya since the 1998 US embassy bombing, has touched every life in the nation and many beyond. We share the grief and sorrow that has resulted. We are committed to working with our partners in Kenya and many other countries to fulfill the CGIAR mission to help create a future more secure for all. On a visit to the World Agroforestry Centre (ICRAF)/CGIAR on 2 Feb 2012, World Bank vice president Rachel Kyte listens to presentations made by CIP’s Lydia Wamalwa and ILRI’s Sheila Ommeh (photo credit: ILRI/Susan MacMillan). As Bill Gates prepares in America’s Pacific Northwest today for a live-streamed session (starting at 2:15 PST, UTC-8 hours), in which he will answer questions about his 2012 Annual Letter, where he argues for the importance of agricultural research for development, a similar Q&A session at a town hall was held early this morning in Nairobi with World Bank Vice President for Sustainable Development Rachel Kyte, who was video-linked so that all staff of the World Agroforestry Centre (ICRAF), which hosted the event, and the International Livestock Research Institute (ILRI) and other CGIAR centres in the Kenyan capital, could take part in the event. The World Bank vice president, who also serves as the chair of the CGIAR Fund Council, covered much ground in her brief statement and responses to questions at the town hall this morning. 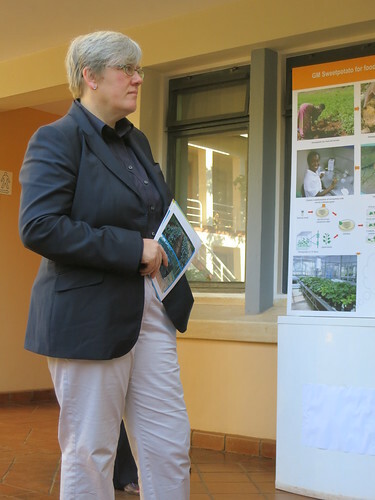 Thoughtful, knowledgeable, and straight in her speaking, Kyte spoke of the importance of ‘climate-smart agriculture’ and of taking ‘landscape’ rather than piecemeal approaches to agricultural research for development. She spoke of the need to preserve the ‘public-good ethos’ of the CGIAR while reaching out to the private sector, and of the ‘profound commitment’ at the World Bank to increase global food security, reflected in the USD50 million the Bank annually provides to the CGIAR. While underscoring the importance of the work of the 15 CGIAR centres to sustainable development, and confirming donor interest in sustaining those centres, Kyte also said CGIAR donors, which have committed USD700 million of the CGIAR target of USD1 billion annual investment, also are looking for more efficiency and effectiveness in CGIAR centre work and for greater clarity of purpose in some of the proposals being submitted for multi-institutional CGIAR Research Programs. Gates and Kyte both appear to be interested in ‘big-picture agriculture’, which may be defined as seeking to understand and manage complex agricultural systems at the landscape level, assessing not only the productivity of these systems but also their sustainability and impacts on livelihoods of the poor. Such big-picture approaches are by necessity highly demanding of complex yet productive partnerships between research groups, governments, civil society and the private sector. 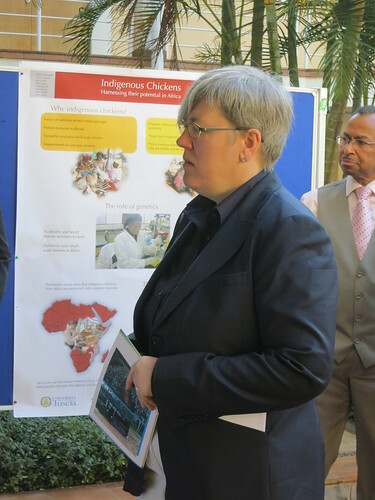 Jimmy Smith (pictured right, above), who came from the World Bank last year to become ILRI’s third director general, and Tony Simons, director general of the World Agroforestry Centre (ICRAF), welcomed the CGIAR community and Rachel Kyte to this town hall meeting, which was preceded by a brief tour of a few of ICRAF’s research facilities and short presentations by two early-career CGIAR agricultural scientists. 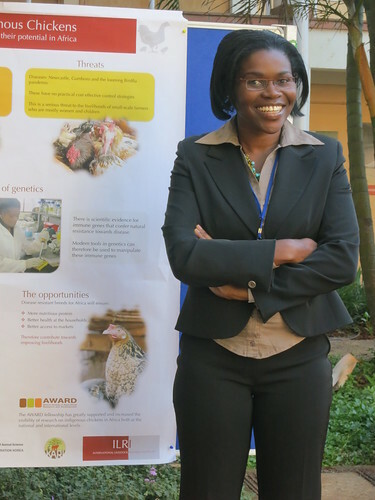 Sheila Ommeh is a young Kenyan scientist who received her PhD just last week in the field of chicken genetics. Ommeh explained to the Bank vice president that 70% of all chickens raised in Africa are native breeds that are rapidly disappearing through cross-breeding and the introduction of exotic breeds. Ommeh’s research is disclosing the value of conserving and better using many of Africa’s hardy native birds, which are an important source of scarce income and nutrition for poor households, especially the women and children in them. 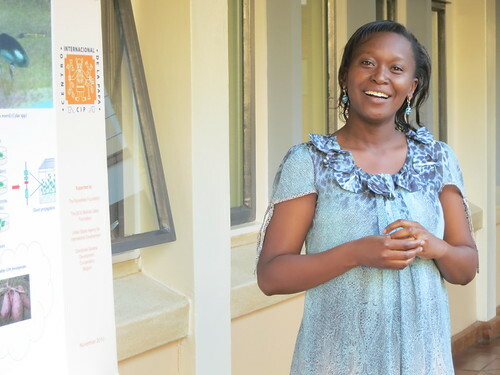 Lydia Wamalwa is another Kenyan scientist, about to obtain her doctorate in plant molecular biology. Wamalwa is working with the International Potato Center (CIP) at the ILRI-Biosciences eastern and central Africa Hub to develop varieties of sweet potato genetically resistant to disease. Wamalwa closed her presentation by saying that she hopes in 20 years’ time someone like herself will be in Kyte’s position at the Bank, continuing a winning struggle against poverty and hunger in Africa. For more pictures of the town hall meeting, visit ILRI’s Flickr website.